When looking for a reputable insurance agent, independence and personalized service is key to ensuring you receive the best policy options and have support when you need it. 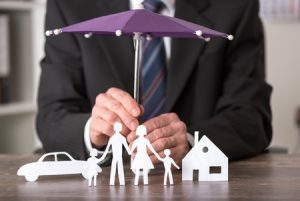 At Five Brothers Insurance, we are family owned and operated and have been serving the Central Florida community for decades. Our agents are dedicated, knowledgeable and skilled professionals who will work closely with our policyholders to ensure they are covered when they need it most. Five Brothers Insurance is also an independent agency, with no contractual obligations to any specified carriers. As a result, we are able to pull quotes from any number of home, car or flood insurance companies to ensure you receive the optimal policy for you and your unique set of circumstances. This often translates into savings for our policyholders, since they aren’t paying for any unnecessary coverage. Whether you need personal or commercial policies – or a little bit of both, we can help! Your insurance agent can assist in pulling quotes from commercial and flood insurance companies or review your current policies to ensure there are no gaps in your coverage. At Five Brothers Insurance, our policyholders become family, and we assist them with all of their personal and business insurance needs. If you live or work in Tampa, St. Petersburg, Clearwater, Holiday, Bradenton or the surrounding cities and are looking for a trusted insurance agent near you, contact Five Brothers Insurance today. We look forward to showing you the level of service you deserve from your insurance agency!